Spain is great for a family holiday but why a surfing package in Northern Spain you say? Not only is it historically a great place to surf – but we believe that the milder climate in Northern Spain is a bonus for families who want to be active in the middle of the day during the hot summer months. We also think you’ll enjoy the cultural amenities and the foodie vibe. Remember the tapas in the North are unbeatable! It all began because we received requests from families keen to take surfing lessons in Cantabria. We researched the market and began to work with surf schools that were truly family-focused. We want their guides to not only speak great English but to also enjoy teaching and love kids. And the families really enjoyed their time. After planning a few trips, we decided to put together a Surfing & Nature Package for Families that allows parents to relax and sightsee while the kids learn to surf in the mornings. The surf classes can be on a one-to-one basis or a group session (up to a max of 8 children). And while the children are busy learning to surf, parents can enjoy some time by themselves and have a relaxing walk on the beach or a swim. When the children finish their surf class, we’ve already worked together with the parents and have devised a programme of activities for the afternoons – everything from a cultural visit or a shopping trip to the city, a visit to a world-class wildlife park, or some cycling, walking or even canoeing routes that are enjoyable for all the family. Our selection of accommodation is again perfect for families. We’ve worked with the owners of an excellent family-run hotel and know they are very child-friendly. They are at hand to make sure everything is just as you need it to be. They offer great eating-in options and both they and we will give you some local recommendations for family-friendly eating out in the region also. 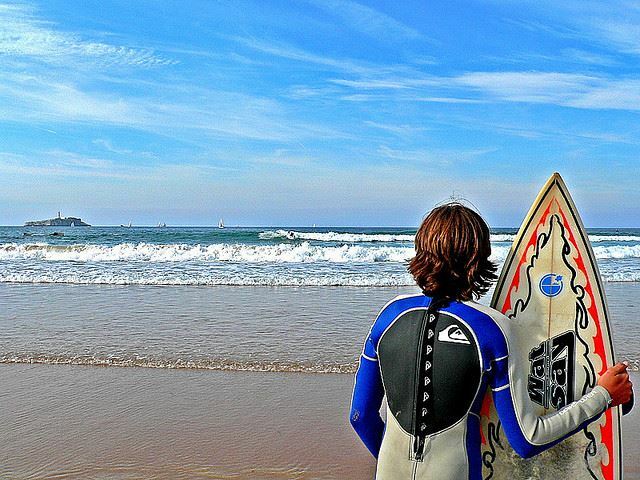 Why all the buzz about surfing in Cantabria? It’s not just the Cantabrians or even Spaniards that are out catching waves. The bay is also hugely popular with international surfers. It’s never been easier to travel to the area. Santander has 9 direct flights from European cities such as London, Edinburgh and Dublin – and ferry connections from Portsmouth, Plymouth and Poole. It’s easy to rent equipment and there are plenty of independent surf shops as well as the usual international and national sports retailers where you can pick up anything you might have forgotten for surfing, walking, hiking or canoeing. 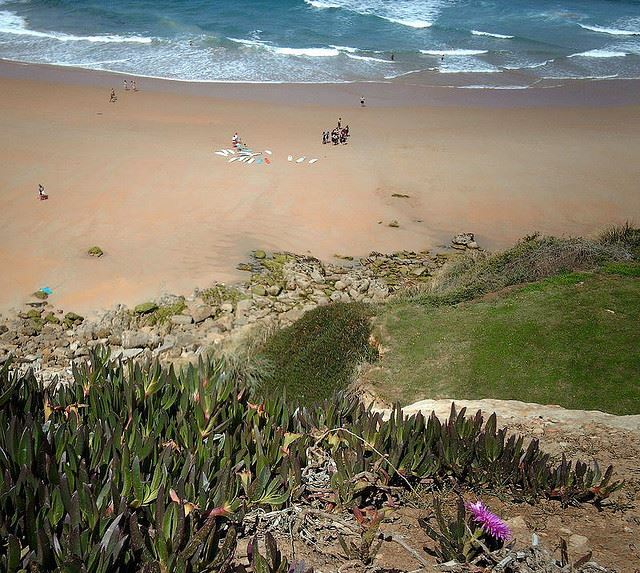 Want to take a peek now at just how perfect the beaches in the Santander bay are for water-activities? If you need any more ideas for either the mornings or afternoons – we have plenty – how about a visit to a local winery or artisan food producer, an evening meal at a competitively priced Michelin-star restaurant, a trip to some UNESCO-listed cave-paintings, or a tapas tour of the city? Check out all our blogposts on Cantabria here. Posted in Accommodation, Active breaks, Beaches, Cantabria, Caves, Family Breaks, Food & Drink, Green Spain, Santander, Spain and tagged 2014, beaches, Cabarceno, Cantabria, caves, El Matador, English-speaking, families, ferry, flights, food producers, Jesus Fiochi, Michelin star, nature, northern spain, Surfing, tapas, wineries.